With so many parts of the U.S. far colder than normal, it’s a good time for a refresher on hypothermia. When do you go from just feeling really cold to being in danger? Is hypothermia preventable? And if it does set in, how do you treat it? Here’s a quick guide for making it through this winter. When you step outside a warm building, that icy blast of air can be a shock to the system. No matter how much you bundle up, chances are at least part of you will be cold, but when does feeling chilly stop and hypothermia begin? According to the Mayo Clinic, hypothermia happens when your body loses heat faster than it can produce heat, resulting in a dangerously low body temperature — falling below 95 degrees F (several degrees lower than our average normal body temperature of 98.6 degrees F). It typically happens because of exposure to cold weather and cold water. Windy weather is also a factor in getting hypothermia because it removes body heat by carrying away the thin layer of warm air at the surface of your skin, the Mayo Clinic notes. Even though 95 degrees F sounds pretty balmy, it’s not a high enough temperature for your body to operate properly. When it dips below that point, your heart, nervous system and other organs aren’t able to function normally. And if you don’t treat hypothermia, it can eventually shut down your heart and respiratory system and eventually lead to death. If you’re so cold your body starts shivering, that’s not a good sign. Shivering is your body’s way of trying to warm itself by creating some movement, so if that happens, take action right away. It’s also important to know these symptoms usually come on gradually, which can make them harder to spot. If you think you or someone else has hypothermia, don’t hesitate to call 911. In the meantime, try to move to a warmer location if possible, but slowly and carefully, as sudden movements could cause additional damage to the heart. Also, remove any wet clothes and replace them with dry ones to help start the recovery process. 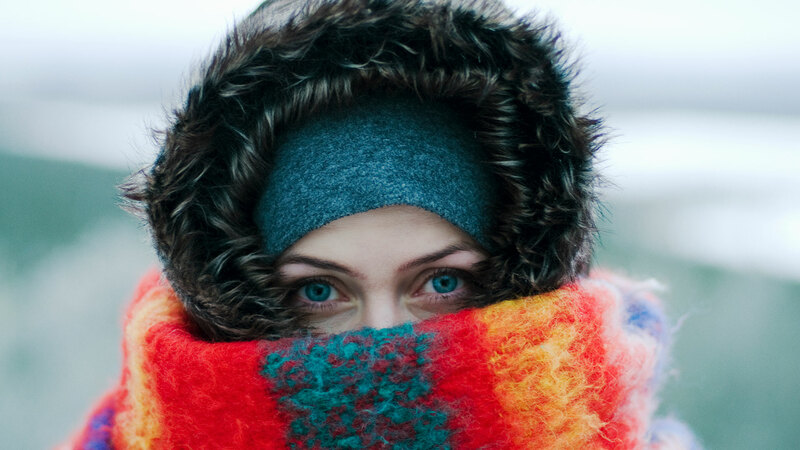 Who is most at risk for hypothermia? Anyone who steps outside in cold weather could potentially get hypothermia, but a few groups are particularly at risk for getting it. Older people and young children/babies are significantly affected by the cold, so make sure they are inside and warm. Also, people using drugs or alcohol (and some prescription medications) may also be affected, as substance use can make you feel warmer than you really are, causing hypothermia to set in. Likewise, certain medical conditions like hypothyroidism, poor nutrition or anorexia nervosa, diabetes, stroke, severe arthritis, Parkinson’s disease, trauma and spinal cord injuries can impact the way your body regulates its temperature. To help avoid hypothermia, the Mayo Clinic offers COLD advice: cover, overexertion, layers and dry. Cover. Protect your body from the frigid temperatures — especially your head, face and neck. Also, mittens are more effective at keeping your hands warm than gloves. Overexertion. It may be tempting to move around a lot if you’re outside, but try to avoid activities that make you sweat. Remember, the purpose of sweat is to cool your body down, and that’s the opposite of what you want in cold weather. Layers. Wear loose-fitting, layered, lightweight clothing with outer layers of tightly woven, water-repellent material. Wool, silk and polypropylene fabrics work best for wearing as inner layers because they hold heat better than cotton. Dry. Moisture accelerates hypothermia, so try to stay dry and remove wet clothing as quickly as possible. The bottom line: When the temperatures dip down, try to stay inside as much as possible and check on elderly neighbors or anyone else who might need some extra help.